When Colleen first contacted us for her upcoming nuptials, she was not certain whether or not to hold her reception in Connecticut or Virginia. We are so happy that she and Jon chose Connecticut and we had the lovely pleasure of working with them both and their families. 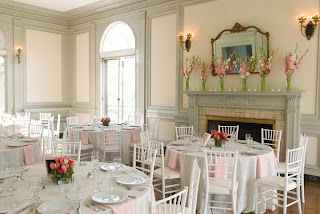 May 24th was a beautiful spring day, a bit brisk, but clean and crisp for the oceanfront wedding at the The Eolia Mansion at Harkness with a soft color palette of varied pinks accented with cream and green. 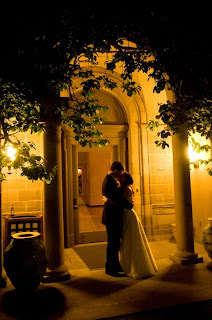 It is only fitting that Colleen and Jon chose such a gorgeous and fairy tale location with rich history and beauty, as they have been together since their teenage years, long time sweethearts. All of the beautiful pictures below were taken by Dru Nadler who was so nice to work with and did a fantastic job. 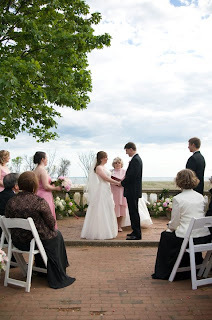 Colleen and Jon were married in the amphitheatre, admist their closest family and friends. Following the ceremony, guests were treated to a delectable spread during cocktail hour and dined family style in the various candle-lit rooms of the mansion, all fabulously catered by Cloud Nine Catering. The cocktail hour took place on the patio behind the mansion, overlooking the expansive lawn and ocean. 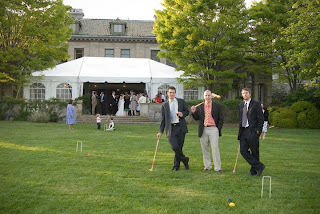 Guests enjoyed playing croquet on the lawn, which is a favorite pastime in Jon's family. A family gathering without it just wouldn't have been complete! 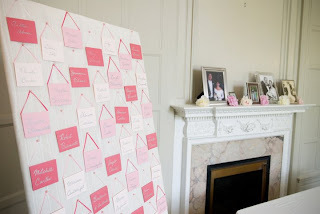 Colleen had the most gorgeous bouquet of peonies, the table arrangements were sweet and sublte spring tulips, and elegant glads filled the nooks and crannies of the mansion as well as made quite the statement on the fireplace. 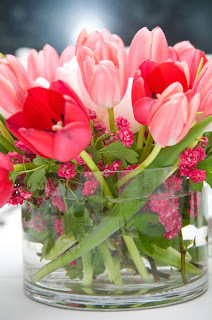 The flowers were executed to Colleen and her mother Sandra's vision with perfection. Garden, spring, flowing and Pink! Debra at Bakes and Baldwin did an incredible job. 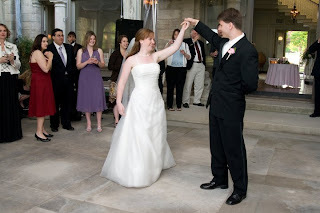 Colleen and Jon had practiced their first dance, taken lessons and, naturally did a beautiful job together. They danced to "Dream a Little, Dream" and you could feel the love under that tent! Following their first dance, Colleen's sister gave a touching toast to the couple, reminiscing of their childhood days, and sharing a bedroom as little girls. It was very sweet. Then Jon's three brother's got up together to toast their brother and Colleen and talked about how Colleen and Jon had been together for so long that of course she was already family! It was also quite touching. After dinner guests danced the night away to the tune of the Modern Manners who really read their crowd well and played to the tastes of Colleen and Jon to prefection. We wish Colleen and Jon years and years of love and happiness together and are thrilled that they included us in such a special way on their wedding day. I had the opportunity to shoot at the Eolia Mansion two weeks ago with Robert Norman and fell in love with it. What a beautiful place.